In-ground pools provide a permanent landscaped pool that will provide years of enjoyment. Generally, an outdoor in-ground pool can be built in any garden and Planning permission is unlikely to be required unless you opt for an enclosed pool, or live in a listed building or conservation area. It is advisable to seek advice from your local planning department before carrying out any works, this often can be achieved with just a phone call to the local planning office. Built using concrete blocks and finished with a flexible patterned or plain PVC membrane to provide the water proofing. 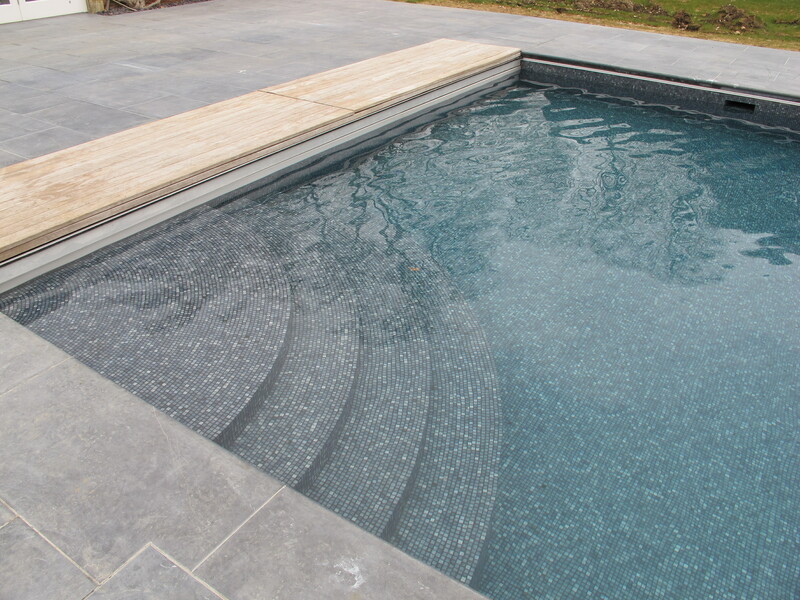 Modern PVC membranes (often referred to as liners) come in a range of colours and pattern options and can look just like a tiled or natural stone pool once the pool is filled with water. 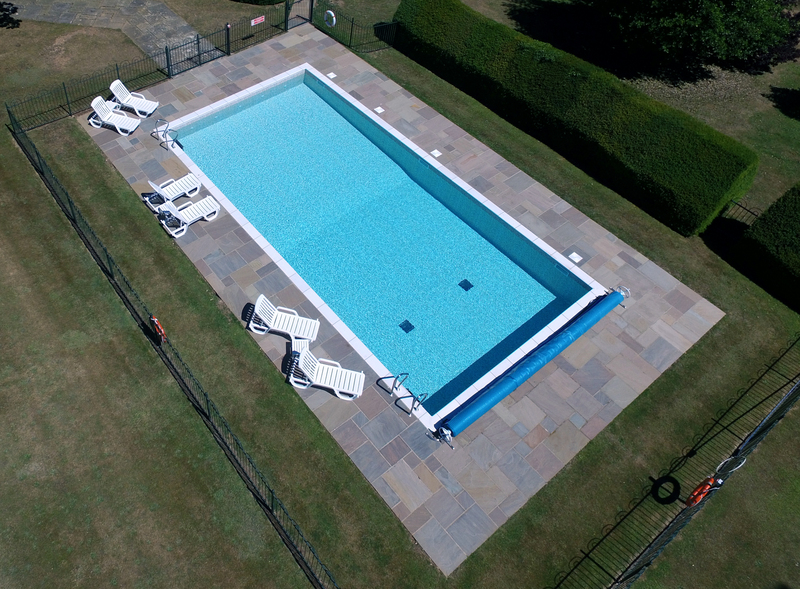 There are many options available for one-piece moulded pools, the finishes can be either ceramic, tiled, fibreglass or thermoplastic, these pools also come in many shapes and sizes and can be configured with beach sections, spa sections, step sections or any combinations of these, they can even incorporate hidden cover systems. The available options are numerous.The advantage of these pools is that they can be installed in a very short period of time and they are strong, durable and require minimal maintenance. Providing good access is available the pools are usually craned straight into a pre-prepared excavation and they can be backfilled and filled with water almost immediately after delivery.If access is a problem most of the one-piece pools can also be delivered to site in sections and re-joined in situ, this would increase costs slightly and time before the pool could be filled but it is a useful option in some cases. This option requires a structure to be made using waterproof reinforced concrete which is then finished using tiles or natural stone. The structure has to be fully waterproof as there is no PVC membrane used in this construction method, therefore a lot more steel and concrete will be used in this method ensuring that the pool remains solid and watertight for many years. Bespoke pools can be designed and planned exactly to individual customers’ requirements, any shape, size or finish can be considered. Practicalities of the site need to be considered but in most cases any design can be achieved. Ground conditions should be accounted for prior to work commencing. Things that can influence pool design and ease of build include high water tables, types of soil and how soil will be removed from site.